Eli is using Smore newsletters to spread the word online. A creature of great strength,speeds, and the color of night. A New Discovery on a Distant Planet! 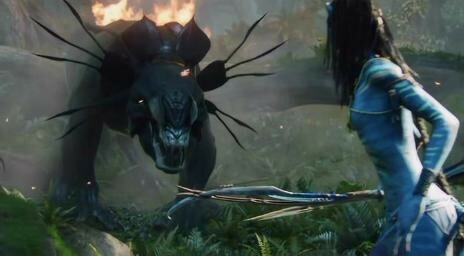 Found on planet Pandora, the thanator (to the Na'vi it's called palulukan meaning "dry mouth bringer of fear") is a creature that xenobiologists currently believe that it may be the apex land predator on Pandora. The creature has incredible strength, with power for extreme runs and leaps. Since thanators have 6 legs, they can move very fast, with an ability that helps it survive. The thanator has special gifts for ripping and tearing and delivering lethal blows from its armored tail. The thanator's senses are adapted that it can detect prey up to thirteen kilometers away. The thanator has ten quills that come out from sections of his armor plating like skin that circle around the back of its skull. 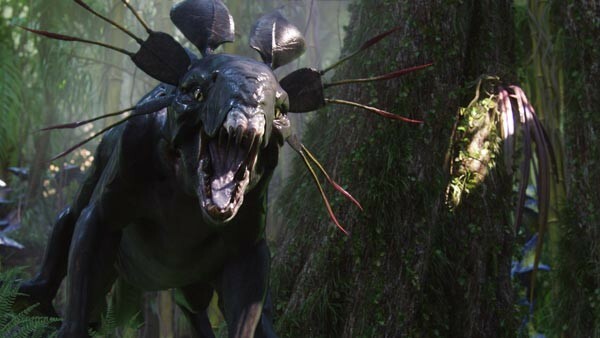 It also has an armored neck and back, a huge extensible jaw, and twenty-three centimeter long sharp teeth. The thanator has burnished black skin that has a purple shine. Its ten quills are colored red and yellow and it's upper lip folds back for maximum tooth extension. 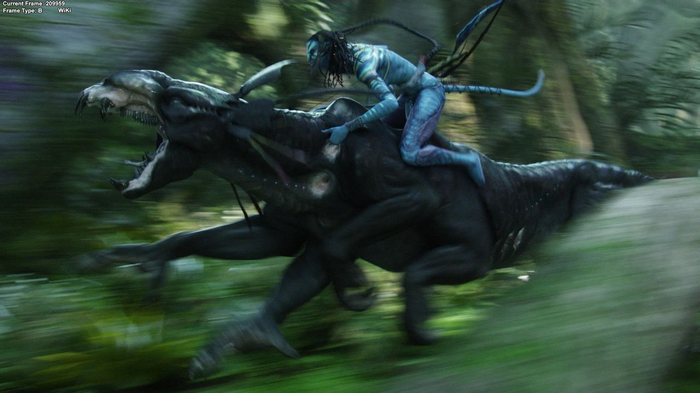 The Na'vi, who are around 9 to 10 feet (3 meters) tall, can ride on these beasts back, making the thanator approximately 20 feet (6 meters) long. It has six long legs, and two sets of opercula on each side of its neck to help it breathe. Who discovered this impressive creature? On a mission from Bill Gates' company, Dr. James was sent to explore Pandora in 2056 for possible organisms to bring to earth to breed and make the creature earth bound. Dr. James found the thanator, brought it to earth and studied it immensely, since he was in awe of such a beast. He discovered the monster near a waterfall, were a tribe of them were drinking from the lake. He also noticed that the the thanator must be a heterotroph since the animals were eating a dead carcass which they probably caught for their lunch. Later on, Dr. James learned that the species were carnivores.